The independent electoral boundaries commission is recommending the return of four protected districts the former NDP government did away with. Nova Scotia's independent electoral boundaries commission is recommending the return of four protected districts the former NDP government did away with. The commission released its final report Monday and is calling for a total of 55 seats in the Nova Scotia Legislature, up from the current 51. The report recommends the return of the former protected districts of Argyle, Clare, Richmond and Preston. The first three were established to encourage more Acadian participation, while Preston is to encourage more black Nova Scotian participation. While a 2012 commission report recommended keeping those seats, the NDP government of the day vetoed that plan and eliminated the seats, prompting a court challenge by the province's Acadian federation and ultimately the work by the current commission. Guysborough-Tracadie would be created, removing the Eastern Shore portion of the current district to make it more geographically manageable for the representative. Eastern Shore would become a standalone seat. With Clare becoming a standalone seat as per the commission, the electoral district of Digby-Annapolis would be created. There are also recommended changes to the boundaries of many of the seats in Halifax Regional Municipality in an effort to recognize the recent population growth within it. HRM would get two new seats in this approach, including one in the Bedford area. The report had support from all commissioners, except when it came to one issue. Four members of the commission signed a letter of dissent, disagreeing with the final decision not to create a new protected electoral district for residents of Chéticamp and the surrounding area. Colin Dodds, chair of the commission, said debate on that issue was difficult, but ultimately the majority of members determined a seat for Chéticamp, while permitted by their terms of reference, would have just been too small relative to the other districts. "We were tasked with producing boundaries for all Nova Scotians, and we felt that balance just wasn't there," said Dodds. Speaking for the commission members who wrote the dissent letter, Paul Gaudet said they believe the difference between 55 and 56 seats for the size of the province is negligible when considering the principle of effective representation. Gaudet said people in the area can't communicate with a member in their language and they feel disregarded as they've watched government services leave the area. "It's not a question of quaintness, but a question of a distinct part of Nova Scotia having been neglected over the years," he said. 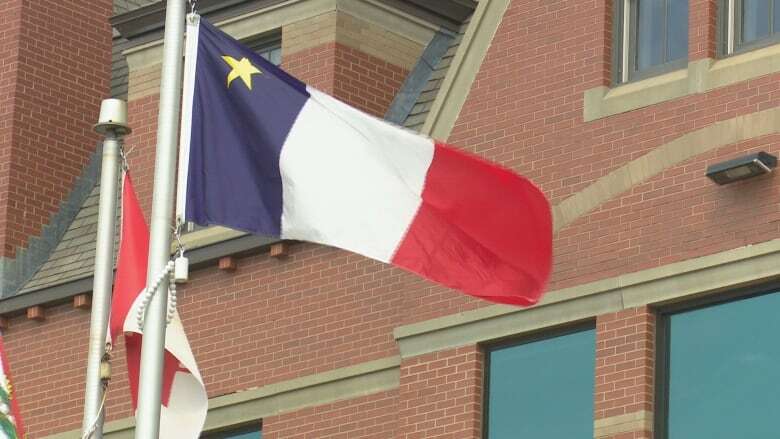 Norbert LeBlanc, president of the Fédération acadienne de la Nouvelle-Écosse, said the group was pleased to see the protected seats return, but disappointed Chéticamp didn't get its own electoral district. LeBlanc said the federation will talk about next steps, but they would appear at the legislature's law amendments committee when a bill is introduced at the House to voice their views. It was the federation's legal challenge of the end of the protected districts that led to the current commission's appointment. LeBlanc said it was too soon to know if a similar move would be necessary to Chéticamp, but it's clear the area needs better representation. Justice Minister Mark Furey said the government would review the report and its recommendation before deciding what to do next. Members of the House will deal with the report during the fall session, he said. If approved, the changes would be in place in time for the next provincial election.